This trail is the best of all in the Preserve. Although it has strenuous and rocky ascents and descents, it skirts canyons and arroyos and traverses forests. 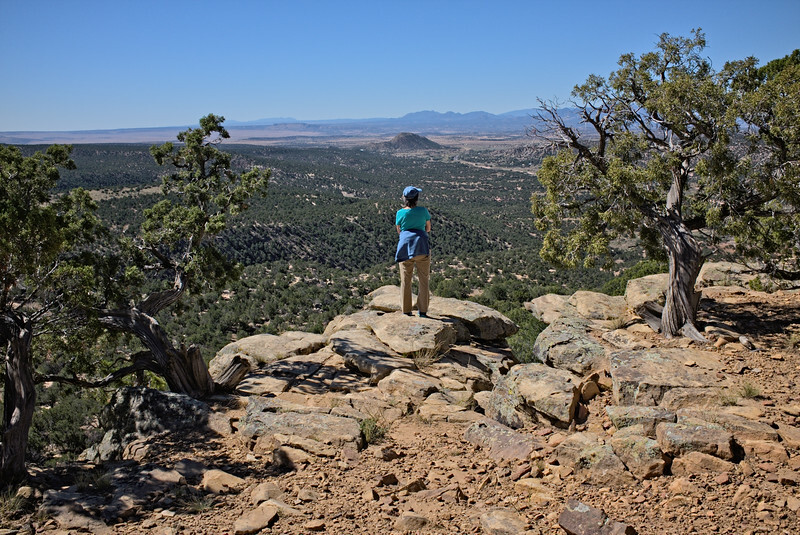 There are meadows with lots of wildflowers in season, piñon and a few ponderosa pines, juniper, cacti, yucca, mountain mahogany, scrub oak and other shrubs, and amazing boulders, rock formations, and 150-mile vistas.